Finding a worthwhile side gig that gives you extra income without inviting high-interest school loan payments into your future can be a challenge. Becoming a notary has great income potential with low cash outlay. And it has the added perk of being a professional occupation with a high degree of respect. Whether you’re looking for a part-time or full-time income by being a notary, this professional occupation allows you to work in a variety of settings that provide excellent networking opportunities. Businesses that need notaries on a regular basis include law firms, real estate companies, construction companies, and county or city government offices. Almost every business that exists has paid a notary at one time or another to assist them with their legal or business papers. 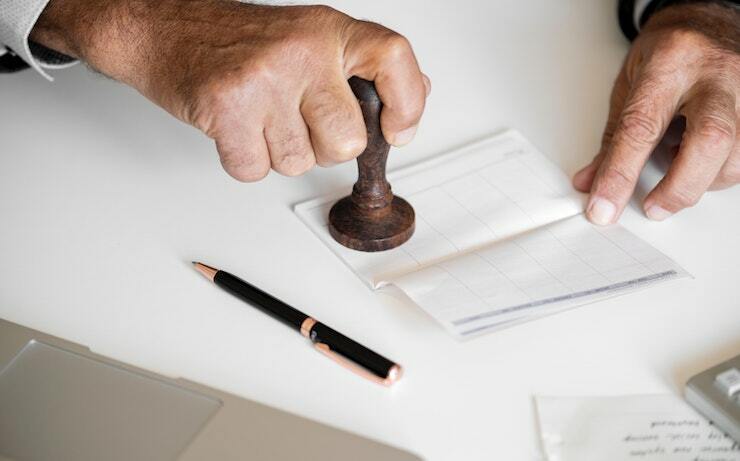 If you have ever purchased a home, a notary was involved in some part of the process, even if the notary didn’t attend the closing, but instead met with the title company or brokers. The wonderful thing about becoming a notary is that it’s not difficult at all to learn or to obtain your license. The process is straightforward, and some notaries can even obtain their training for free. That alone makes it a great educational and professional opportunity worth considering. Each state has its own process. Let’s walk through the steps of how to become a notary in florida. The first step to be a notary in the State of Florida is to complete your online education. Florida is one state that offers a free course to help you with this critical step. You can enroll in the Florida Department of State program through various avenues. There are also other online notary training programs available, but some charge a fee. Once you’ve completed your training, you’ll need to complete a notary bond package order form and a notary public application. You should receive information about this during your online course about how to become a notary in florida. Once you complete those and they’re approved by the licensing body (the State of Florida) you’ll need to order your official seal and stamp. Once you receive those, congratulations, you’re a notary public ready to work and can start making great money with your new side gig.